A very active first practice for the Monaco Grand Prix saw Mark Webber hurl his Jaguar to the top of the times in the final minutes of the session. 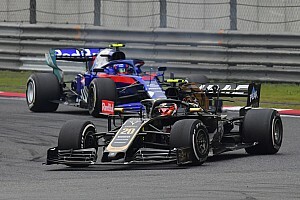 The fastest time changed so often it was hard to keep up; Webber had been idling in the mid-field after early top six running but beat the lot with a 1:16.373 ahead of Jenson Button and David Coulthard. Championship leader Kimi Raikkonen was the first man out, followed swiftly by the Toyota of Cristiano da Matta, both Ferraris and both Williams'. Raikkonen set the first time of 1:19.722, with McLaren teammate Daid Coulthard just behind in second. Coulthard took over from the Finn and was in turn ousted from the top slot by Rubens Barrichello with a 1:18.275. The Jordan of Ralph Firman was mixing it with the front runners early on, as were the pair of Minardis, Jos Verstappen only just under two seconds off Barrichello. Giancarlo Fisichella was the next to impress, setting a quickest of 1:18.038 at the top. Michael Schumacher couldn't beat the Jordan, slotting into second just a tenth behind. The BARs were tenuous initially, both outside the top ten along with the Williams' and Toyotas. Sauber was mixed; Heinz-Harald Frentzen up in seventh, Nick Heidfeld 13th. Mark Webber made the first impression for Jaguar, climbing to fourth quickest and Antonio Pizzonia followed on, claiming seventh. Coulthard improved up to third behind Michael and Firman was still on the pace, into fifth behind Barrichello. Verstappen also remained in the top ten. 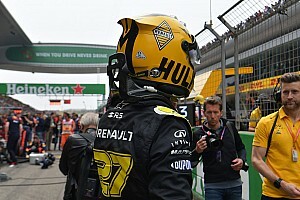 Renault was slow to come out, neither Jarno Trulli, who was fastest in the morning testing session, nor Fernando Alonso making an appearance in the first half-hour. Alonso was out first and went straight to the top on his initial flyer with a 1:17.520, the first driver into the 1:17 bracket and half a second faster than Fisichella. Barrichello was next to claim the best time, a 1:17.507 and Michael also dropped into the 1:17 times, but behind Alonso. 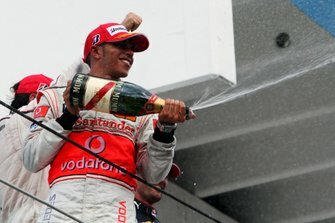 Juan Pablo Montoya was the best paced Williams in fourth but was swiftly replaced by Jenson Button on a charge for BAR. There was equal activity in the midfield; Jacques Villeneuve, Heidfeld and Verstappen all made improvements on their times. Ralf Schumacher lurked near the back for some time until climbing to seventh and it was the Toyotas that occupied to bottom of the times, behind the Minardis. Raikkonen also spent quite a while wandering amongst the backmarkers but then got bored and shot to the top with a 1:17.487 -- two hundredths up on Barrichello. Frentzen put in a good effort and improved to fourth and Trulli finally appeared in the last twenty minutes. The Italian fought it out with teammate Alonso, the Spaniard beating him to the top with a 1:16.578, Trulli second but beaten again, this time by Button. Alonso still remained half a second quicker. Olivier Panis managed to haul his Toyota up to 13th and in the closing stages Minardi slid slowly back to the bottom. Michael picked up to second quickest and Villeneuve finally broke into the top ten while Webber and Heidfeld went down the times. There was a lull in proceedings as everyone geared up for the final onslaught. Montoya climbed to fourth and Fisichella to second; Webber and Panis improved slightly but da Matta remained at the end of the times. Ralf could only squeeze out fifteenth and Coulthard beat Alonso's best by seven hundredths to take the top slot with a 1:16.505 -- only to be beaten by Button by a mere two hundredths, 1:16.476. Button lasted no longer than Coulthard, Webber thundering to the best time of 1:16.376 immediately afterwards. Raikkonen and the two Ferraris put in the last laps but none of them made the front runners, Michael the best in sixth. A fast moving session in which a mixture of youngsters and old-hands made the running. Renault looked very good, as did Jordan despite slipping later. Alonso, Trulli, Button, Webber and Coulthard fighting it out at the end made for great entertainment, taking the top by turns with only tenths and hundredths between them. Ferrari and Williams were low-key, which we know by now doesn't really mean a great deal. However, it looks likely to be an interesting first qualifying later with some less than usual results. 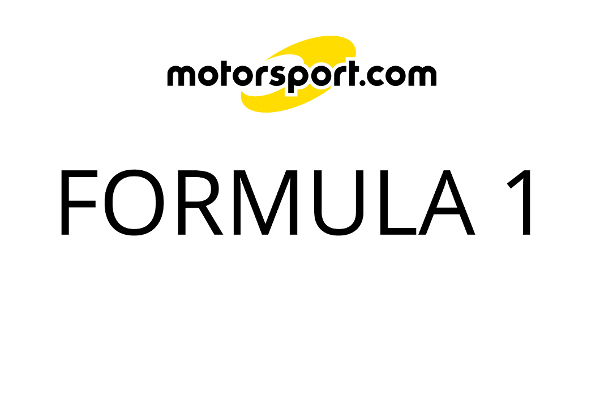 Final top eight classification: Webber, Button, Coulthard, Alonso, Trulli, M. Schumacher, Fisichella, Montoya.